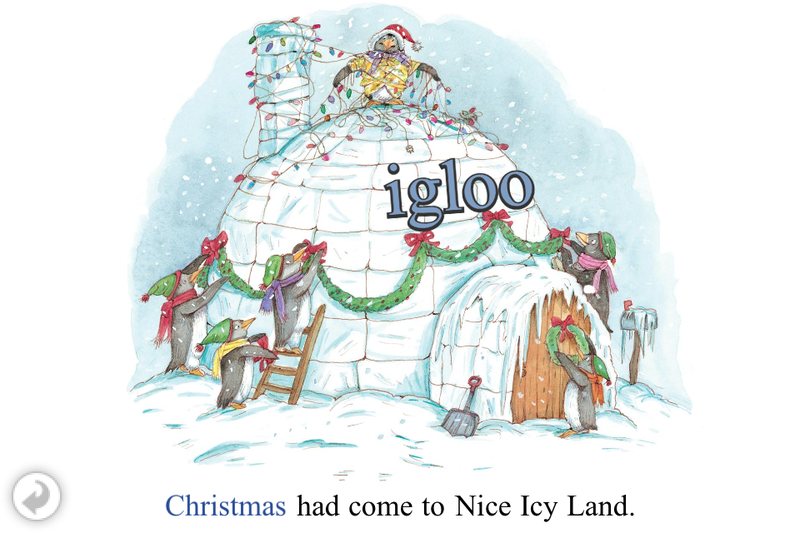 It's Christmas time in the nice icy land where Tacky and his fellow penguins celebrate the holiday season. They wrap presents, decorate their igloos and sing holiday songs. But Tacky gets stuck in an ice chimney, practicing to be Santa this year, along with lots of other holiday-themed shenanigans. When unexpected guests (the hunters) join the festivities, Tacky stands up to them. In the end the hunters join the penguins for a fishy feast in the spirit of Christmas goodwill. Solidly made OM Book from Oceanhouse Media.